Gleb Savchenko was back as a pro for season 27 of Dancing with the Stars. 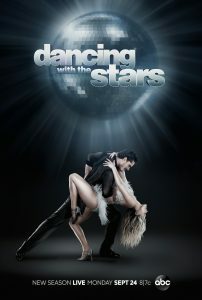 This season he graced the promo poster with Witney Carson. Gleb’s celebrity partner was stand-up comedian Nikki Glaser who is known for hosting Comedy Central’s first live daily morning show, You Up with Nikki Glaser, for SiriusXM.